On March 7, 2012, Extreme Thinkover reached a great milestone by crossing the 40,000 views mark. I want to express my appreciation to all my readers and subscribers, along with those who just happen to stop by and check out the blog. Last year was an eventful year for me and I didn’t post as many articles as I have in past years. But to those of you who have hung in there with me, I extend my special thanks! So keep checking on the blog site. There are some new plans in the offing that should not only generate more posts but also provide some great reading. 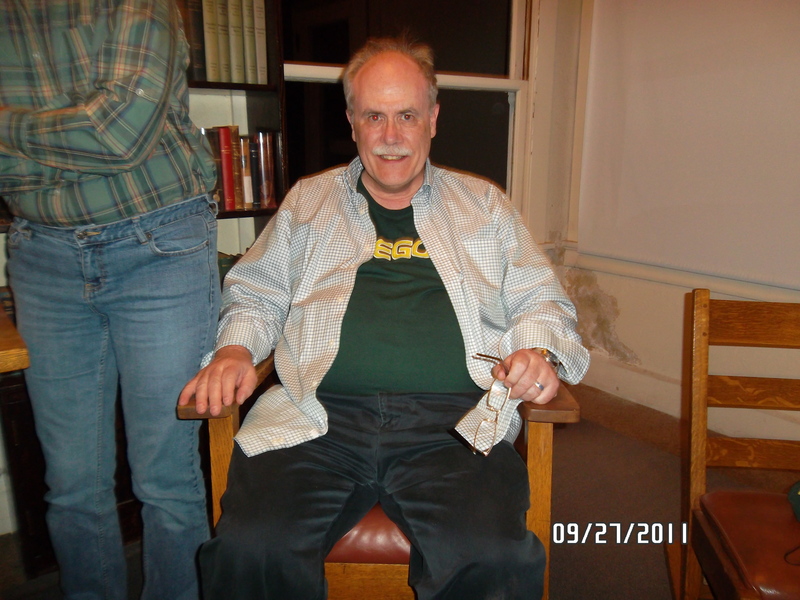 P.S., Just for fun here are three photos of my vacation at Mt Wilson Observatory, near Pasadena, California. And thanks to Bruce and Mimi for the invitation! 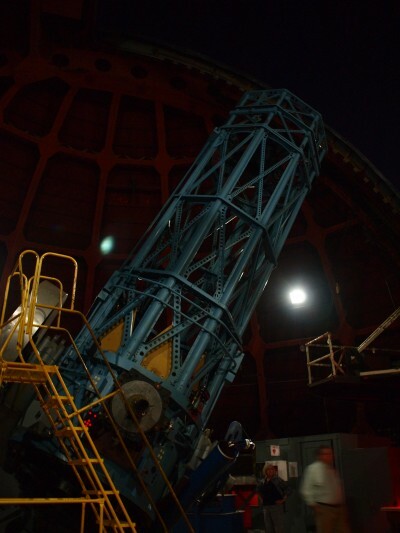 When the Hale saw first light in December 1908, it was the largest telescope in the world. George Ellery Hale, who later financed the 200 inch Hale Telescope on Mt Palomar near Pasadena, named the telescope after himself. This is the chair Albert Einstein sat in when he visited Mt Wilson on January 29, 1931. Note the hair. Photo Credit: John Bogen. 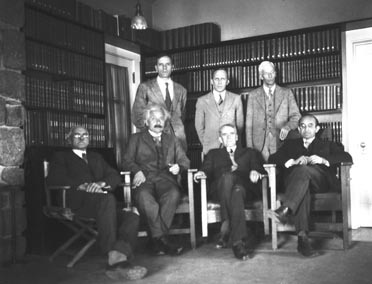 Einstein and the Senior Astronomers (Edwin Hubble is standing directly behind Einstein. Jan 29, 1931. 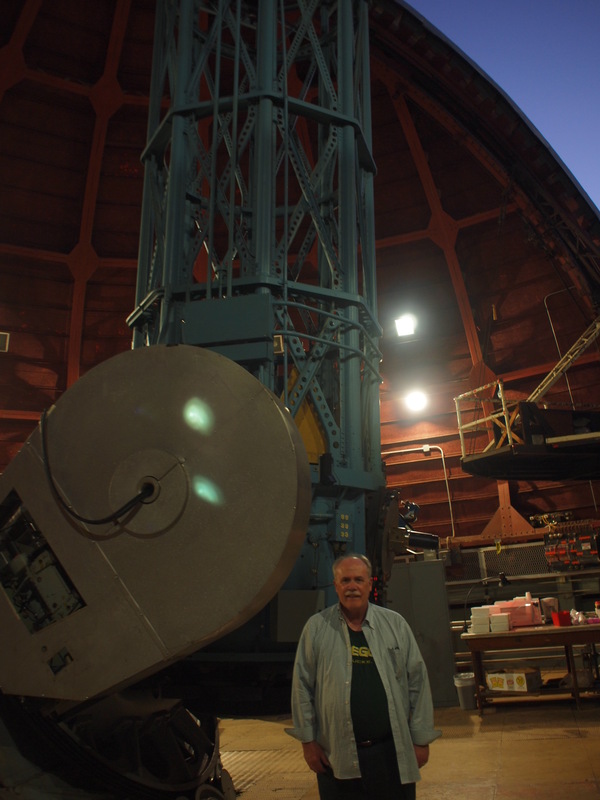 Photo Courtesy of Mt Wilson Observatory. This entry was posted in Astronomy Photos, Extreme Thinkover and tagged Astronomy, Einstein, Extreme Thinkover, Mt. Wilson by Dr. David Waggoner, PhD. Bookmark the permalink. Congrats David! Next up, 100K. The Mt. Wilson experience was a once-in-a-lifetime event. I also would like to thank Bruce and Mimi again for their kind invitation.